Maybe you have wondered why almost all of our strength work for the last year and a half has a specific tempo for each movement. Why do I have to go slow on the way down? Why do I have to pause in the bottom? Wait, WHAT is the Tempo? 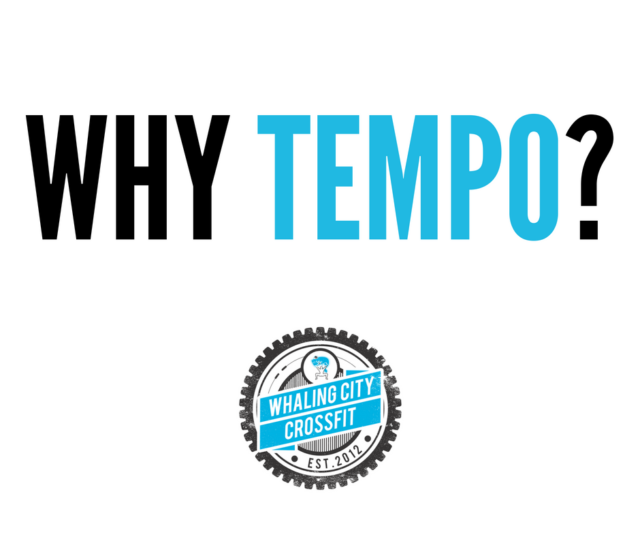 Before we get into the why, let’s make sure we all understand how to read tempos. 30X0. What does that even look like for a squat or a press or a pull-up? The first number is the ECCENTRIC or LOWERING portion of the movement. The second number is the time spent in the BOTTOM position of the movement. The third number is the CONCENTRIC or RAISING portion of the movement. The fourth number is the time spent in the TOP position of the movement. So, 30X0. For a squat, the movement starts with the lowering. 3 seconds on the way down, zero seconds in the bottom, X means “as fast as possible” or I like to tell people to “Xplode” on the way up, and then a zero second pause before the next rep.
For a overhead press, the movement starts with the UP portion of the lift. So you would start reading the tempo from position three, the ‘X’. So fast up, no pause overhead, 3 seconds controlling the weight back down, and then no pause, so go right into the next press. Now that you can read tempos, let’s talk about why we use them. Tempo is mainly about three things: Motor Control, Time Under Tension, and Training Variation. Lifting weights, AKA Resistance Training is about building muscle and getting stronger. There’s a lot more to it than that, but let’s keep it simple for this discussion. By setting and sticking to a set tempo for a lift, the athlete is demonstrating to the Coach that they have proper motor control over that movement. The proper technique is maintained, all the right muscles are firing and the risk of injury is greatly decreased. Beginners especially should be introduced to new movements with slow tempos (and lower weights) until adequate motor control has developed. If a program says Back Squats, 3×10, what does that look like? 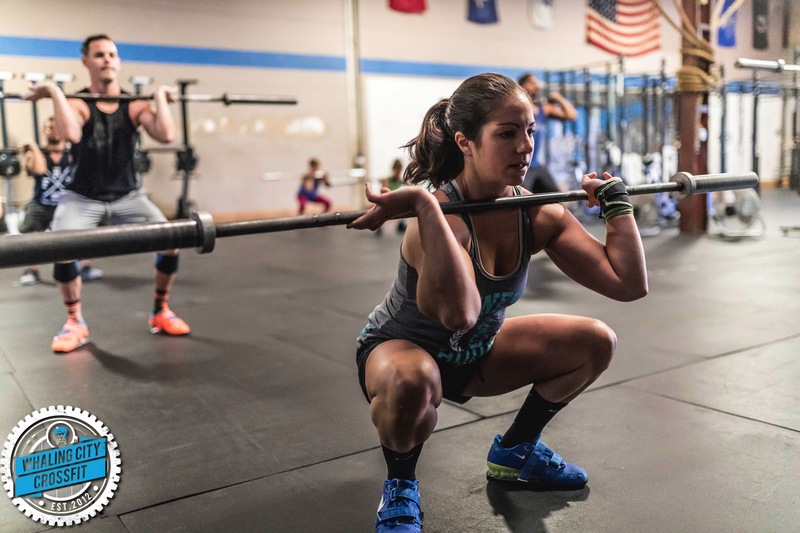 Athlete A might hammer through 10 squats in 15 seconds while Athlete B struggles through a set that takes 60 seconds. On paper, it looks like they have done the same workout, but in reality, the stimulus was vastly different and each athlete will have a different response to that set of 10 and most likely a very different rate of perceived exertion. Time Under Tension takes a Coach’s exercise prescription to a higher level. If the tempo for those back squats is 10X0, then the intent is for a fast set that takes about 15-20 seconds. But if the tempo is 4221, each rep should take the athlete 9 seconds and a set of ten will have the athlete under tension for 90 seconds! What is the intended dose response for that exercise? Are we training for muscle endurance, or strength or hypertrophy? Different time under tension can yield different results. So Time Under Tension is another variable that can be manipulated along with load, sets, and reps.
Now you can see how many possibilities there are for prescribing Back Squats (and any other movement!) in a workout. By changing the tempo, a lot of variety can be created among our traditional lifts in the gym. Have an athlete who is weak in the bottom of a squat? Give them a tempo that makes them pause in the bottom. 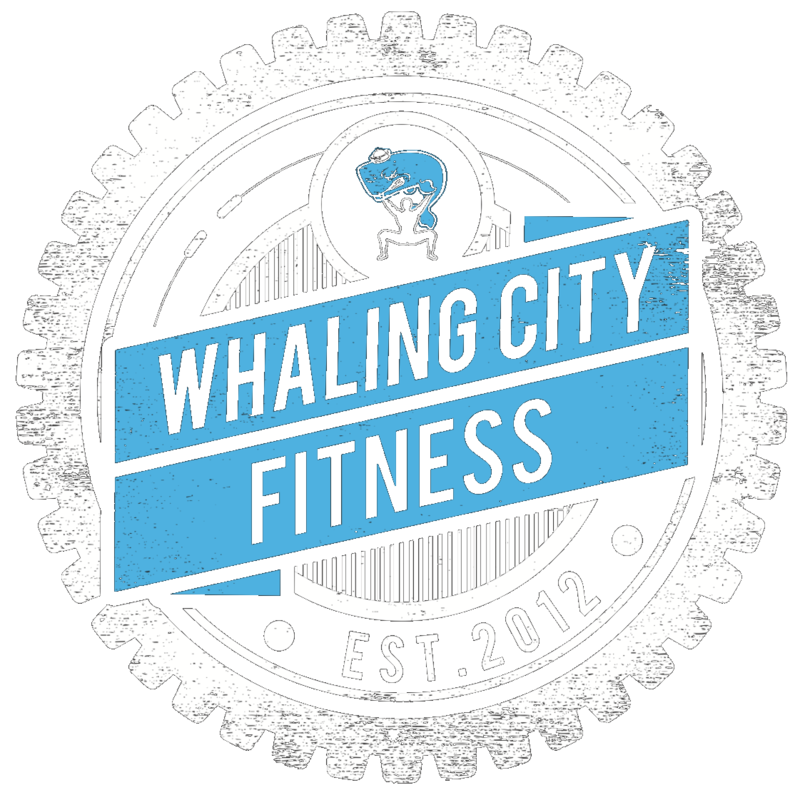 Hopefully, that gives some insight into how and why we use Tempos at Whaling City CrossFit! This entry was posted in Coach's Corner, WODs and tagged crossfit, fitness, functional fitness, resistance training, strength training, tempo, training. Bookmark the permalink.